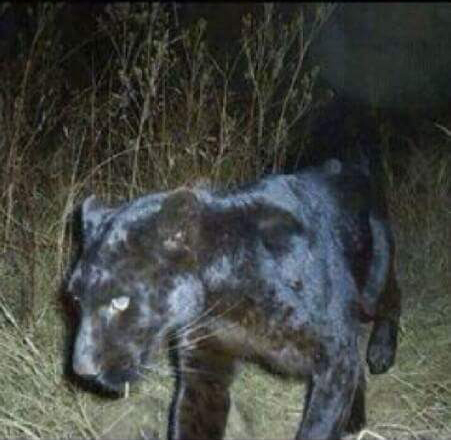 Panthers are indeed out there, but sightings are extremely rare and usually at a distance where it could be argued what was seen was something else, like a deer or a hog, or even a big house cat. But I know two people who have seen panthers. One was my friend Sharon P. She saw hers in south Mississippi—close to Louisiana, right? Sharon is an avid hunter and has trophies on her wall that would make most any hunter envious. My point is, Sharon is a savvy woods-person and is not prone to hysterics, thus, in my book, if Sharon saw a panther, Sharon saw a panther. The other sighting I am aware of was by my friend Buck. He was a heavy equipment operator in his early life after discharge from the Army and was working as a dozer operator on the Sunshine Bridge, which was built in the early seventies, if not mistaken. The equipment was stored at night in a marshaling yard some distance from the bridge site, and each morning Buck had to drive the dozer to the work site on a levee . There were cane fields on one side of the levee and woods on the other, if I am remembering this correctly. This particular morning was extremely foggy with restricted visibility such that you could see only a few yards. He waited for the fog to lift but soon got bored with that and cranked up his dozer and started the trip to the site. Even though the fog had lifted off the ground a few feet, up in the elevated cab of the big dozer, he could see only a few yards ahead, and staying on the levee was difficult. He got aggravated with that, so, he shut it down and lit up a cigarette and sat there in the dead silence, waiting for the fog to lift. It didn’t, and he eventually had to relieve himself of his morning coffee, so he stepped out of the cab onto the track of the dozer, then dropped to the ground. Upon landing, he was face-to-face with a black panther. The cat did an about face and took off! Buck did an about face and took off—but his trip was cut short when he ran smack into the tracks of the dozer. That hurt! Buck said he spoke to some farmers about this later, and they confirmed they had also been seeing a panther in the area. So, don’t let anyone tell you there are no big cats in Louisiana.